A Loudon man was killed in an industrial accident Monday night at the Springfield Power LLC plant in Springfield NH. The NH State Police notified OSHA on Monday evening of the accident that killed 23-year-old Dakota Labrecque and they subsequently opened an investigation. According to Ted Fitzgerald, Regional Director for Public Affairs with the US Department of Labor, the investigation will determine whether any workplace safety standards were violated and that findings aren’t expected for at least one month. OSHA has up to six months to complete the inspection. Lt. Joseph Di Russo of NH State Police and Troop C are assisting OSHA in the investigation of the industrial accident. Lebanon Public Works will be working on the sidewalk and drainage area located near #70 South Main Street today. The work will take place between 7:00 AM and 3:30 PM. There may be lane closure and drivers should expect minor delays. Motorists should seek an alternate route if possible. Any questions and/or concerns regarding this work should be directed to Bruce Temple, Assistant Director Lebanon Public Works at 603-448-3112. The Enfield Board of Selectmen will hold a public hearing on Monday, December 4th at 6:30 PM at the Public Works Facility on Lockehaven Road in Enfield. The hearing will be to establish an expendable trust fund for accepting monetary donations toward the purchase of and property improvements to the Mascoma Lakeside Park. A Putney VT man was arrested for Operating a vehicle after Suspension in Bellows Falls. Bellows Falls Police said they observed a dark-colored sedan with no lights on traveling east on Westminster Street near Red Light Hill. After a motor vehicle stop on Route 5 by Barker Street, officers found the driver Alex S. James to have a suspended license, no current registration or insurance and license plates that belonged to another vehicle. James was issued a citation to appear in Windham Superior Court on January 1st to answer to the charge. The plates were seized and J & M Auto removed the vehicle. male removed a black pistol from under his sweatshirt and laid it on the counter. tip at LebanonNH.gov/CLUE or by calling 603-448-CLUE (2583). 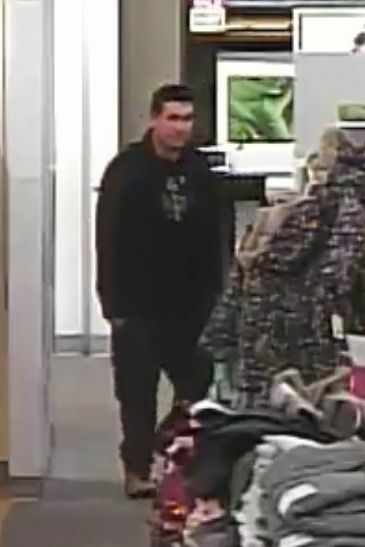 On November 14, 2017, the Lebanon Police Department requested the public’s assistance with identifying a male subject who was suspected of shoplifting $1,700 worth of merchandise from Kohl’s. Information received from the public helped the Lebanon Police Department identify the suspect as: Gary Haberland, age 29, of Lebanon, NH. During this investigation, Lebanon Police were contacted about a suspicious tent located in the woods near Interchange Drive. While investigating the campsite, they discovered a tent that contained a large amount of merchandise and other evidence that tied the site to Haberland and his girlfriend, Hali Bailey, age 23, of Lebanon, NH. On November 18, 2017, Lebanon Officers located Haberland and Bailey at a residence in Lebanon where they were arrested. Haberland was charged with Theft by Unauthorized Taking, a Class A Felony, Witness Tampering, a Class B Felony and Receiving Stolen Property, a Class A Felony. He was held on $5,000 cash bail and will be arraigned in the Grafton County Superior Court on November 20, 2017. Hali Bailey was charged with Receiving Stolen Property, a Class B Misdemeanor and was released on $2,500 personal recognizance bail. She will be arraigned in the Lebanon District Division, New Hampshire Second Circuit Court on January 22, 2018. The investigation into this matter is ongoing and additional charges are anticipated. The Lebanon Police Department is seeking the public’s help in identifying a man who took over $1,700 worth of electronics from Kohl’s Department store in West Lebanon. Police said the incident happened on October 29th but not discovered until later when employees discovered the theft on video. 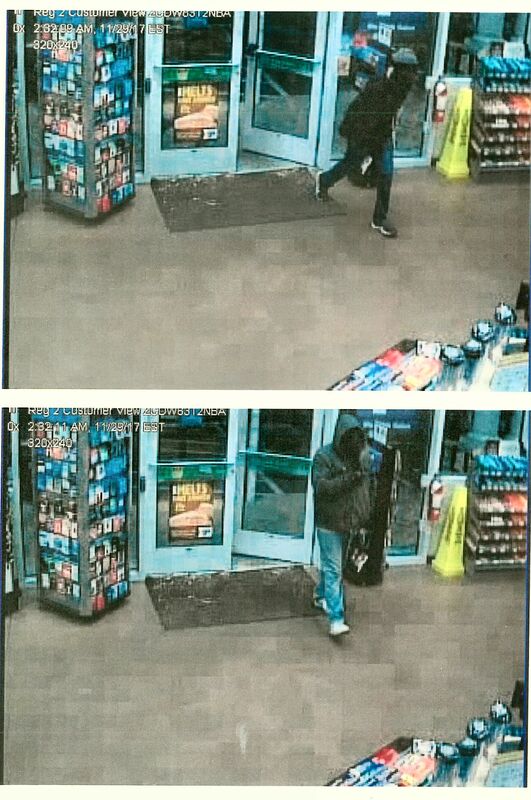 The male suspect concealed the merchandise in a black backpack and then left the store. A photo of the male suspect is on the WNTK’s Facebook and web page. Anyone with information should call the Lebanon Police Department at 603-448-1212 or submit an anonymous crime tip at LebanonNH.gov/CLUE or by calling 603-448-CLUE (2583). A Winchester NH man was killed in a single car accident on I-91 south in Ascutney VT yesterday afternoon. Vermont State Police said 31-year-old Michael Calder was driving south on I-91 in the passing lane when he gradually traveled to the left, leaving the road before colliding with a guardrail and down an embankment. Calder was taken to Ascutney Hospital where he succumbed to his injuries. Members of the Ascutney and Springfield Fire Departments assisted Vermont State Police at the scene. This crash remains under investigation. Vermont State Police seized 154 bags of heroin from a car after a motor vehicle stop on I-91 shortly before 1:00 AM on Tuesday. 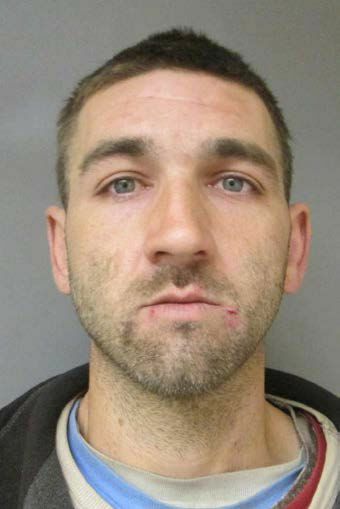 Police said they stopped the vehicle for speeding in Westminster and during the investigation discovered the driver Aaron L Gobin of Hartland VT had an extraditable arrest warrant from NH. Further, into the investigation, it was discovered that Gobin and his passenger Dylan T. Avery of Barre VT were in possession of heroin. Officers seized 154 bags of heroin from the vehicle. Both men were arrested and ordered held at the Southern State Correctional Facility. Gobin was charged with Possession of Heroin, Importation of Heroin and being a fugitive from justice, and Avery was charged with Possession of Heroin, Importation of Heroin. 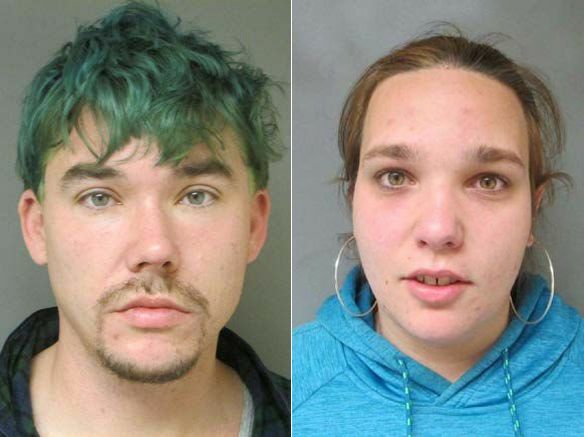 Both will be arraigned on Nov. 24th at the Windham County Criminal Court to answer the charges. NH Attorney General, Gordon J. MacDonald announced yesterday that NH residents who used Western Union to wire money for a scam may apply for compensation. The compensation is a $586 million dollar fund administered by the Department of Justice’s Victim Asset Recovery Program. The fund is related to NH and 49 other States, the District of Columbia and Western Union settlement announced in January. If you do not receive a claim form in the mail but believe you, may have an eligible claim, please visit http://www.westernunionremission.com or call 1-844-319-2124 for more information on how to file a claim. All claims forms must be mailed back to the settlement administrator by February 12, 2018. At 1:51am on November 11, 2017, Lebanon Communications received a call of a male subject hit by a car and needing medical attention. The crash occurred near the intersection of North Main Street and East Wilder Road. The driver of the car, Derek Moniz, was traveling south on North Main Street and struck 21-year-old Anthony Ciaccia of White River Junction, Vermont who was walking in the roadway. The impairment of the pedestrian appears to be a factor of the accident. It is still under investigation but no charges are anticipated. Both Lebanon Police and Fire Departments responded to the scene and provided medical care to Ciaccia. Ciaccia was transported to Dartmouth-Hitchcock Medical Center with non-life threatening injuries and is expected to be released later in the week. Dartmouth College is honoring veterans with a week of activities. Dartmouth’s week of events in honor of Veterans Day starts with a remembrance breakfast Friday morning at the Hanover Inn. Later on Friday, there is a formal military retreat and drill ceremony by Dartmouth ROTC on the green from 4:45 to 5:15 PM The Dartmouth Veterans Banquet takes place on Saturday night with James Wright Award presentation in Boston, following Friday’s Dartmouth versus Brown football game at Fenway Park. The week finishes with Honor the Heroes at the 242nd Marine Corps Birthday Ball: Sunday, Nov. 12, from 5:30 to 11 p.m. in the Grand Ballroom of the Hanover Inn. 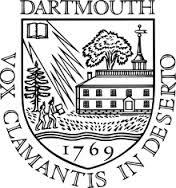 Dartmouth President Phil Hanlon ’77 said Dartmouth is proud to honor the veterans who have served our country so nobly and so ably, allowing us to enjoy the freedoms that are the hallmark of our great nation. The Newport Select Board is considering the merits of a new tax incentive to spur downtown revitalization. The incentive is the 79-E Community Revitalization Tax Incentive, a development credit established through RSA 79-E. It allows municipalities to provide a tax break for the value added to under-utilized buildings. In order for it to be applied, it must be adopted through a warrant at the May Town Meeting. Members of the Board said they would begin researching the effectiveness of the incentive to decide whether it should go on the ballot. Planning and Zoning Administrator Julie Magnuson briefed the Board on the program at Monday’s meeting, noting that Claremont and Lebanon have already adopted the provision. Newport’s current Master Plan contains language supporting the adoption of the incentive; Magnuson said and could apply to various efforts in the town. Vermont State Police are seeking information on a Birches Way theft in the town of Peru. Police said someone took a pair of black and orange Rossignol skis and eight pairs of ski poles from a locker inside the residence between 10-15-2017 and 11-04-2017. 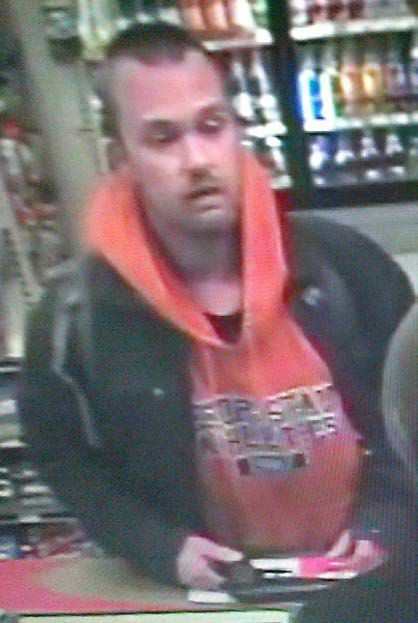 Anyone with information on the theft should call Trooper Shepley at 802-722-4600. An intoxicated driver may be the cause of an accident in Hartland Vermont Tuesday night. Vermont State Police said the accident happened shortly before 9:00 PM on Route 12 South between a Honda Sedan and a Tractor Trailer. During the investigation, Craig Arnesen of Quechee, driver of the Honda was found to be under the influence of intoxicants. Arnesen was taken to DHMC for a precautionary measure and processed for suspicion of DUI. A court date has not yet been determined. All charges against Joseph Furlong, 41, of Sunapee, have been dismissed. In his decision, Newport District Court Judge Gregory Michael said that the state “failed to properly investigate the facts related to the alleged crime… and wishes the court to endorse its failure. This court will not do so.” In the initial investigation, Sunapee Police Chief David Cahill charged that Furlong had altered an e-mail in an attempt to affect the 2016 school board election. The case was in conjunction with the NH State Attorney General’s Office.